Open to residents and members, you can swim off your troubles in our modern heated swimming pool, warm up those tense muscles in our sauna or sit back and while the time away in our jacuzzi. The Leisure Club is easily accessible from all rooms, facilities and changing rooms are maintained to a very high standard. 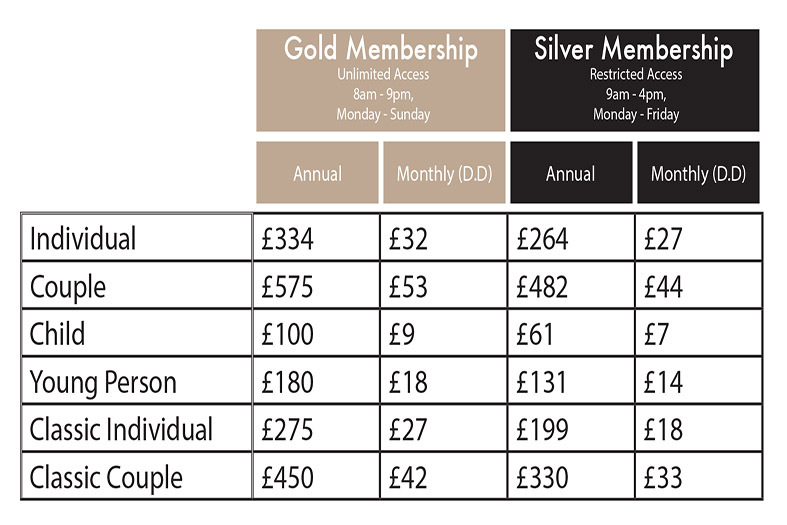 Membership prices are detailed below, please speak to our reception team to join.